Home / 5%Off / Black Friday / Eleaf / Eleaf Istick / Shopping / Black Friday Is Coming ! The annual Black Friday is coming, are you ready for it ? 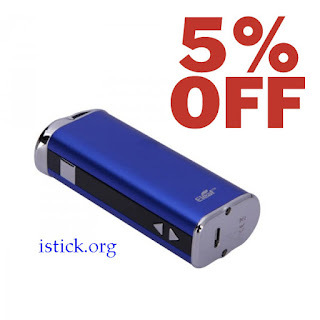 All of Eleaf Products got extra 5% off based on the special price at Eleaf iStick Official Authorized Online Store , you just need to enter the coupon code "shopping" before you pay your money . last few days to get this discount, hurry to purchase now! About Eleaf ASTER Total 1600mAh Kit ! Eleaf ASTER Total In Stock Now ! Safety Is Always A Concern For Eleaf Products ! Customer Service Is Number One ! I Was Over The Moon When Got The iStick Pico !